Daniel Cavanaugh has it all—a lucrative career as a lawyer, a gorgeous fiancée, and his future mapped out for him. So why is he feeling increasingly dissatisfied with his life? When the assignment to handle his late grandmother’s estate takes him to the California coast, Daniel welcomes the escape. Staying at the nearby bed-and-breakfast isn’t really his style, but he soon realizes the inn may hold the key to the answers he’s been seeking. This is a sweet and gentle story full of heart and delicious cooking. I liked that after each chapter was the recipe for the dishes that were mentioned and I plan to try a few! 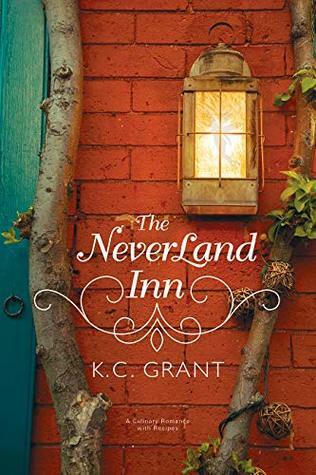 The pace was a bit slow and I was missing some depth and connection, but overall it was a pleasant read about two individuals that couldn't be more opposite, and the quaint inn off the beaten path that brings them together. Daniel is the one who did most of the changing, but it was a change he was ready for, one he didn't even know he was seeking. Once he allowed himself to turn off his father's voice in his head and tap into his softer side encouraged by his beloved grandmother, he became more likeable not only to the reader and Sarah, but to himself. The theme of finding "Neverland" by embracing sentiment and childlike joys gave the book a sweet and hopeful tone.